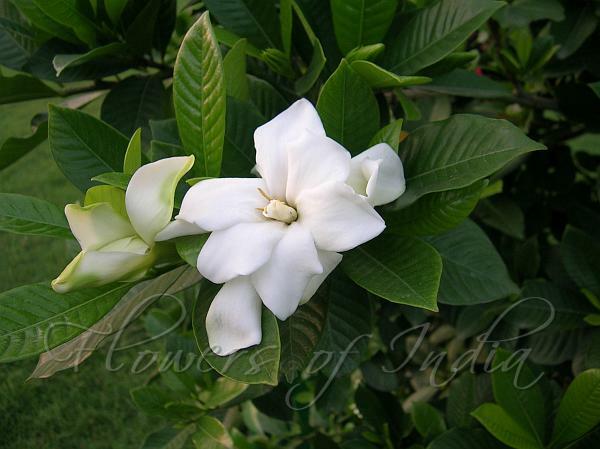 Gardenias are beautiful, shrubby evergreen houseplants well loved for their creamy, fragrant blooms. The shrub that can grow 6-8 ft (1.8-2.4 m) high with almost equal spread. The leaves are glossy and leathery. Mature shrubs usually look round, and have a medium texture. This is not a "bloom all at once and it’s over" shrub! It blooms in mid-spring to early summer over a fairly long season. The flowers are white, turning to creamy yellow as they age, and have a waxy feel. They have a powerful, sweet fragrance, and can perfume an entire room. 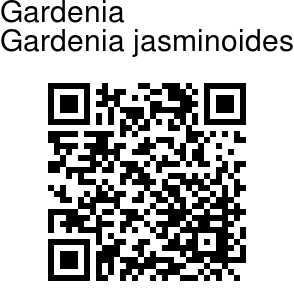 Gardenia is native to Japan, China and India.